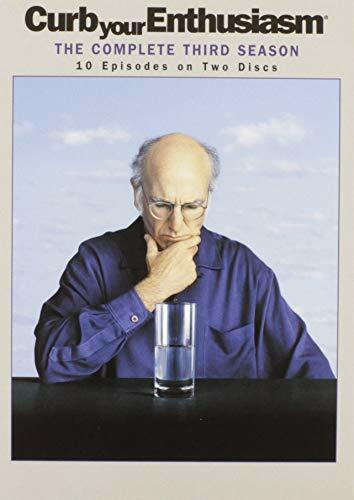 Season 4 of Curb Your Enthusiam was released on DVD on August 25. Click to order Curb Your Enthusiasm DVD Season 4 now - save 30%! 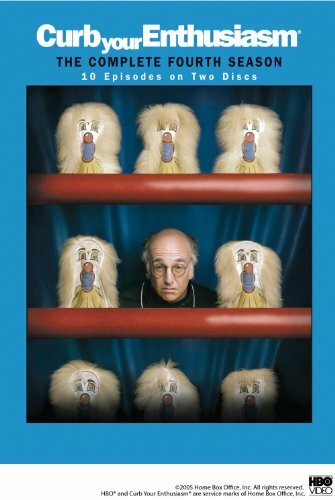 Season 3 of Curb Your Enthusiasm is now available on DVD! Click here more more information, or to buy Season 3 of Curb Your Enthusiam on DVD. Click here for more information on this offer. I would like to thank Brett M. Carre for completing the first transcription of a Curb Your Enthusiasm episode. The script for "The Doll" can be found here. To my knowledge, this is the very first transcript of a Curb episode available on the Internet. Since the show is filmed without using a script, it is possible that this is the only transcript (or text-version) of a Curb episode anywhere in the world. Thanks again, Brett. One down, 39 to go! 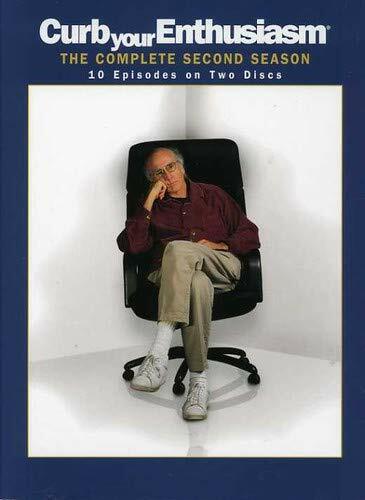 Season 2 of Curb Your Enthusiasm will be reeased on DVD on June 15, 2004. That is exactly 3 months from today!! You can pre-order the Season 2 DVD now, from Amazon.com. Episode 39 is now available in the Full Episode Videos section. Episode 38 is now available in the Full Episode Videos section. Episode 35, The 5 Wood, is now available in the full episode videos section. Episode 31 is now available in the Full Episodes section. It will be slow to start but should speed up after a few hours. Four episodes from season 4 are now available - the other two will be coming soon. Episodes 26-30 (from season 3) are now available in the Full Episode Videos section. This download might be a little slow to start, but things should speed up as others get the entire file. Please remember to leave your download windows open after the download is complete. Thanks. Episodes 21-25 (from season 3) are now available in the Full Episode Videos section. This download might be a little slow to start, but things should speed up as others get the entire file. Please remember to leave your download windows open after the download is complete. Thanks.